The OPPO R series smartphone lineup has always placed its focus on its superior photo capturing capabilities. Over many different iterations, the brand learned from past mistakes and innovated in the search for a perfect smartphone camera solution. 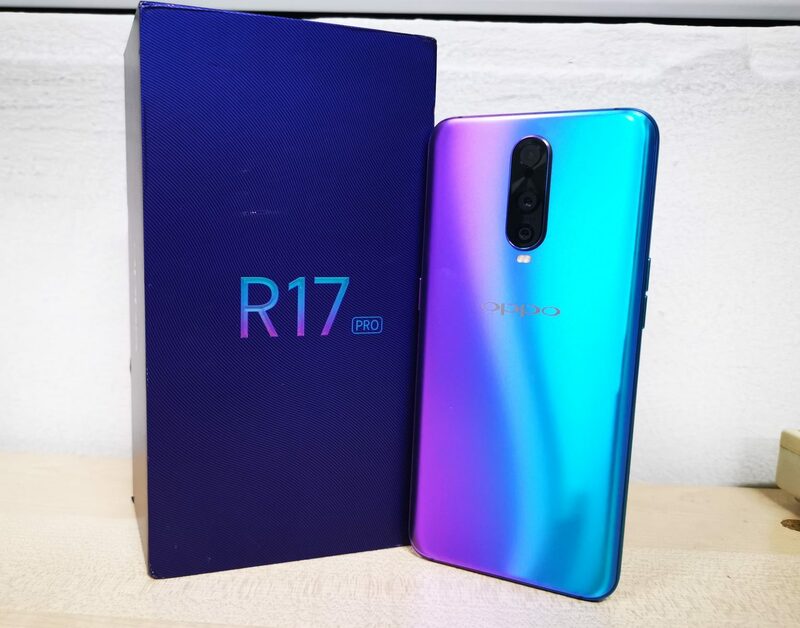 In August last year, OPPO announced the new OPPO R17 Pro, which introduced new camera technologies. Let’s see if this smartphone lives up to its name. The OPPO R17 Pro should be considered as one of the brand’s flagship series. However, even though these smartphones are already equipped with top quality cameras, they don’t usually come equipped with a high-end smartphone chipset. This results in users not being able to get their hands on a device from the best of both worlds, mainly camera quality and performance. This also means that the camera from the OPPO R17 Pro must be so good that it justifies the flagship price that it offers to consumers. In order to maximize the screen-to-body ratio at the front of the smartphone, OPPO adopted a teardrop-shaped notch under the selfie camera. This design can be considered less intrusive that the usual notched design, as there is a smooth transition between the screen at the notch. Moreover, this also allows the camera to be centered at the top of the smartphone, making selfies a lot more natural than if the camera was placed at the sides. OPPO also decided to have the buttons of the smartphones available on both sides on the phone. On the left, we can spot the volume buttons, while on the right, we can see the power button. Thankfully, even though this smartphone does not use a top-of-the-line smartphone chipset from Qualcomm, but at least it still has a USB Type-C port for fast-charging. That should be considered a bare minimum for today’s smartphones. One the of main design highlight should be the smartphone’s rear. The smartphone comes in either Radiant Mist or Emerald Green. We got our hands on the Radiant Mist version for our review. What’s interesting is that the rear of the smartphone may seem simple, but under different lighting condition, it will give a certain iridescent effect. Unlike some smartphones which uses a completely reflective surface for such an effect, OPPO has toned it down with a matte finish. This makes the phone less prone to fingerprints as well. Also, on a side note, the camera bump on this device is also quite large. It is recommended to put the phone in a case, so as to prevent any scratches or damage to the camera unit. Thankfully, OPPO has also included a clear case within the package as well. The Snapdragon 710 chipset that is used in this smartphone is Qualcomm’s mainstream product. Of course, we shouldn’t expect the performance of this smartphone to be at the level of the other flagships, such as the Samsung Galaxy Note 9 and OnePlus 6T. Interestingly, it was a rather odd design to include 8GB of RAM on the smartphone. Will a smartphone actually utilize so much memory? Moreover, does the Snapdragon 710 chipset have the full capabilities to utilize all of these memory for its processing! Nonetheless, here are some results of the OPPO R17 Pro on some of the common benchmark tests. At least, OPPO did not scrimp on type of display panel used on the R17 Pro. We enjoyed the fact that is has a OLED display, which was able to produce better contrast than standard LCD displays. It is also because of the OLED display that we were able to enjoy videos on the R17 Pro. The only grievance we had for most smartphones today is that they lacked a proper stereo speaker setup. Even though the OPPO R17 Pro comes with a single speaker unit at the bottom of the device of decent quality, it still did not beat a full stereo sound experience that a dual front-facing speaker provide. Even with a good display, the lack of audio depth did affect the overall entertainment value of the device. The OPPO R17 Pro performed outstandingly with day shots. The images captured was brighter, and had more details. The camera was also able to adapt well to different lighting conditions, and change the exposure levels accordingly. In general, without any additional software edits to the photos, the images just simply look good. However, there could also be times where the colours may seem under saturated, especially when compared to the shots taken from the Huawei. In our night shots tests, the OPPO R17 Pro performed really well. When compared to the Huawei Mate 20 Pro, which is supposed to be superior in its camera performance as well, the OPPO R17 Pro was able to produce photos with more details. Moreover, even without additional software features such as “night mode” (from Huawei), the OPPO R17 could capture night photos with bright features too. On the other hand, the Huawei Mate 20 Pro failed to adapt to dark conditions by increasing its exposure. When comparing between Huawei Mate 20 Pro’s and OPPO R17 Pro’s night mode feature, both phones produced similar results. However, we found that there was slightly more noise in the photos captured by the OPPO. Regardless, the OPPO R17 Pro faired very well in the camera test with night shots. While the camera may be good, perhaps OPPO should consider placing better performance hardware components within their R series of smartphones. This way, consumers will have an easier choice to make when choosing flagship smartphones. At the current price point of S$999, it makes the OPPO R17 Pro a hard sell. I am using Oppo R17 Pro and realized that when taking selfie the camera seem to auto ‘beautified’ me…is it normal? At time I need the flaw, example if I need to show some moles or marks for recording reasons. You can turn off the beauty mode manually via the camera app.